Ryerson is “90 per cent” of the way to opening its proposed law school and is assessing its plan to move forward without support from the Ontario government, president Mohamed Lachemi said. The statement comes after the provincial government withdrew its support for the school. According to reports first published in the Globe and Mail, the government said it based its decision on a number of factors, including an oversupply of law graduates, which would result in tighter competition and fewer job prospects. With approvals secured from the appropriate governing bodies in both the legal industry and from the school’s governance, Ryerson intends to continue with the launch, which was originally slated for 2020. The university has also earmarked existing space on campus to host law classes, the president said. The faculty will temporarily be hosted on the third and fourth floors of the Podium Building. The space is currently occupied by the nursing program, which will be relocating to the new Daphne Cockwell Health Sciences Complex on Church Street next year. 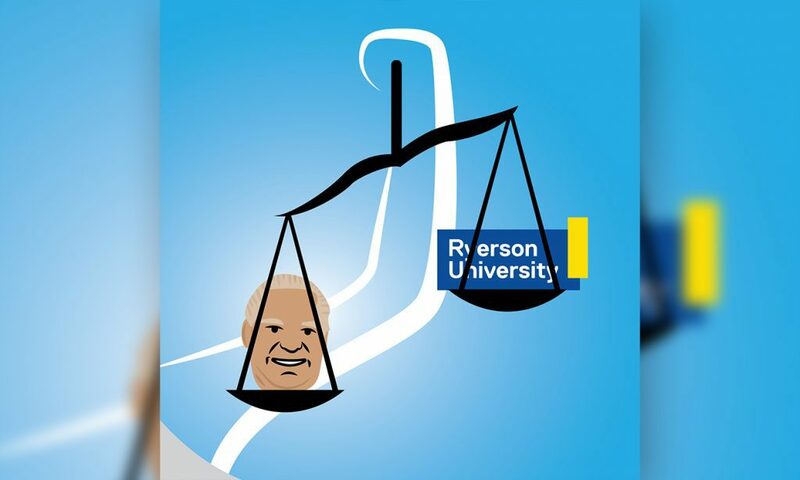 Ryerson is also continuing to recruit faculty to run the law school. “Our intention is to continue with the formal search process to hire a new dean,” Lachemi said. On the issue of funding, Ryerson is looking into redistributing the enrolment money it receives from the province. According to Lachemi, the government provides the school with an “envelope” of money, the amount of which is determined by enrolment numbers at the school. Ultimately, it’s up to the university to decide how to distribute the money across its faculties, Lachemi said. Ryerson is still looking to the government to support at least one element — allowing its law students to be eligible for financial aid through OSAP. Lachemi said that he sent a letter last week to Merrilee Fullerton, the Minister of Training, Colleges, and Universities, requesting a meeting. The most important thing, Lachemi said, is for Ryerson to explain how our law school is going to be different from others and how Ryerson can contribute to a better law education in the province. This is the second time in the last month that the province has decided to abandon support for a Ryerson initiative. In October, the Ford government cancelled a plan to create a satellite campus in Brampton — a project that the previous Liberal government had already approved. With files from Declan Keogh.